There’s something about intimate parties that tugs my heart. 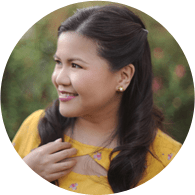 I love the fact that you can pay attention to each and every detail, and get the rest of the family involved in the planning and preparations too. 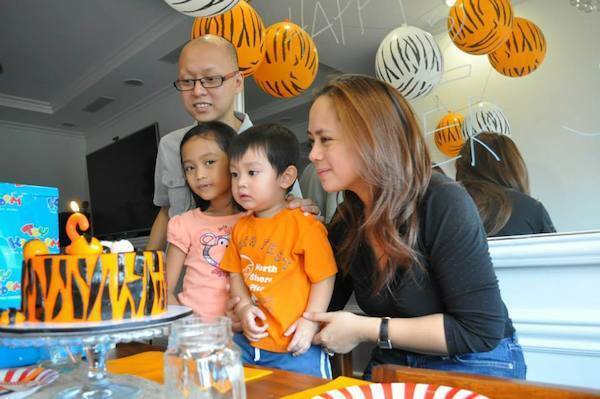 Take this party for example, which is just what Homemade Parties is all about! Imagine yourself as a two year old waking up to this party scene? 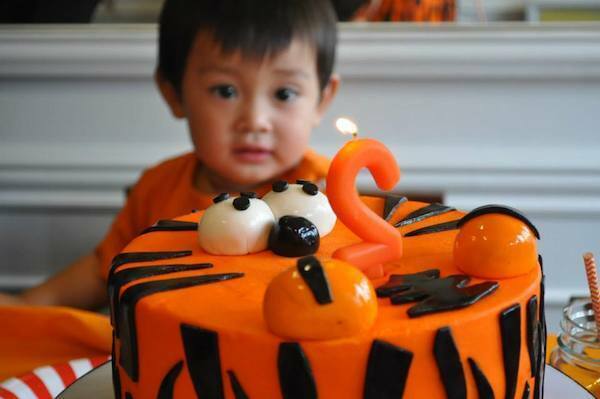 Jose, mommy Maan’s little boy, must’ve been so excited to see all the tiger-themed decors at the breakfast table. And what’s even better? 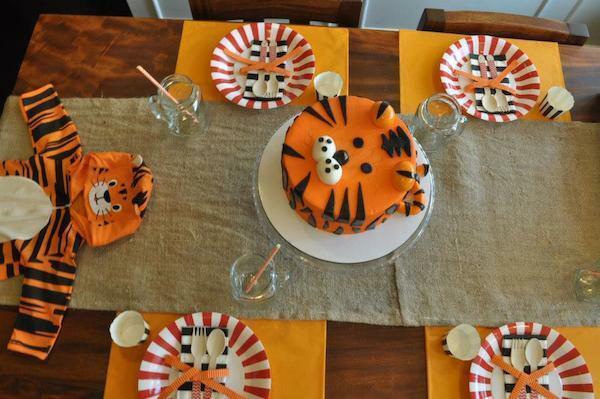 He gets to eat a tiger-themed cake too…for breakfast! What a way to enter the so-called terrible twos! Read on and see how much fun (and easy!) it is to throw a homemade party! 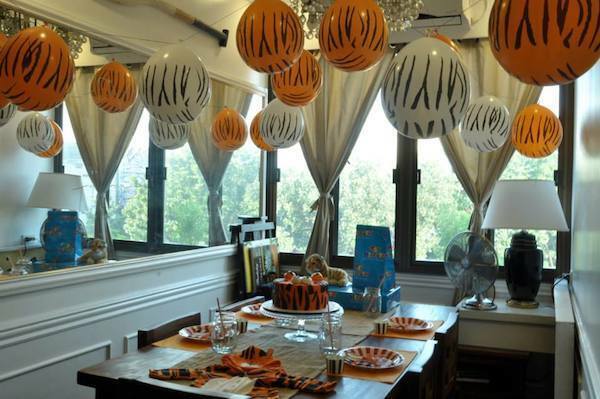 I’m really loving those orange and white tiger print balloons hanging from their ceiling. Can’t find the placemat to match your colour scheme? Why not use Japanese paper? They’re cheap and very accessible. 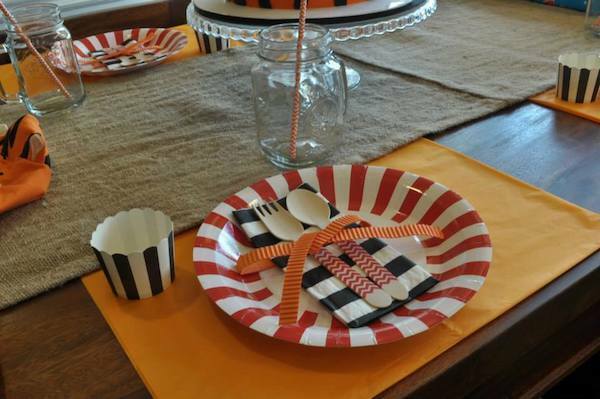 Those black and white striped table napkins and cupcake holders are also a perfect addition to the entire look. 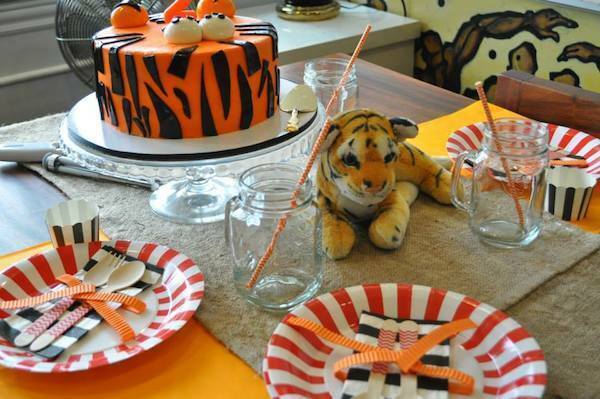 Mommy was able to achieve a tiger themed party without going overboard with the animal prints! 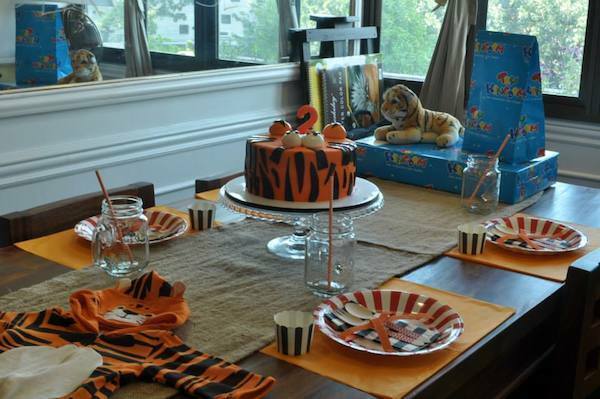 Mommy Maan went all out with her set-up, and yet it was only a small party with three guests! Imagine the wonders she can do for a big party! 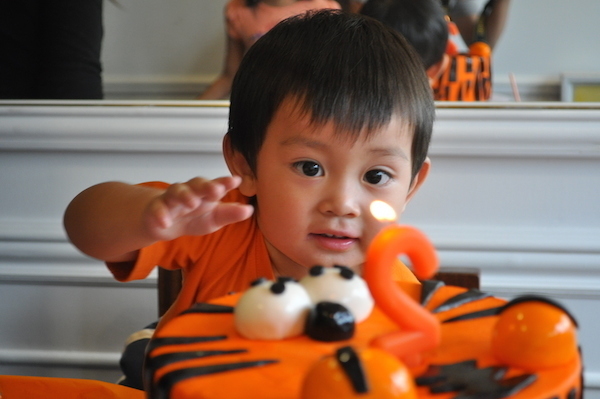 Ever since my son could communicate, he would often initiate his desire to play with us by growling like a tiger, so we came to call him as our baby tiger. 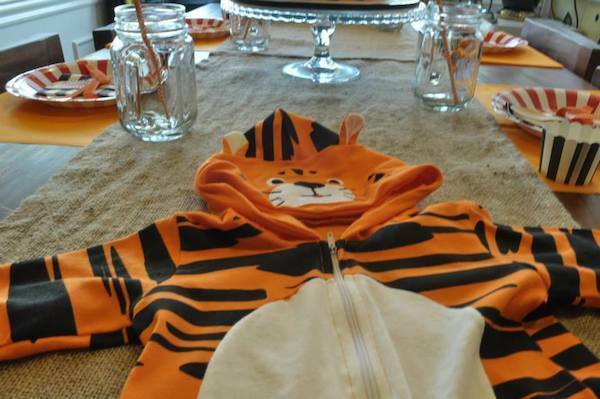 It made sense to us to go with a theme that he really liked and not something that mommy or daddy picked out. 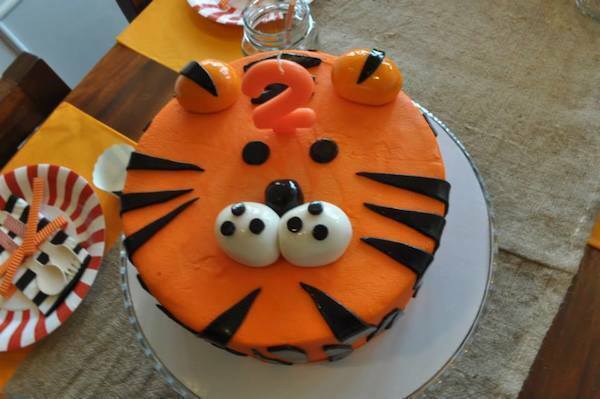 The plan was to have our little tiger wake up and see the tiger set-up and have tiger-cake for breakfast. Plus as a family, we really want to create a culture of intimate parties, with just really good decor, and really good cake. Parties done at home are what we enjoy the most. 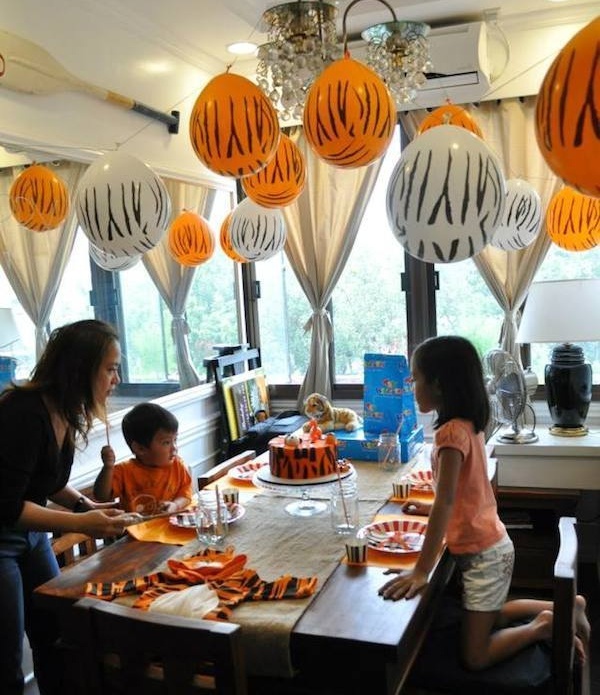 And we find that our kids, (daughter 9y/o and son 2y/o) appreciate being involved in the party planning and decorating. It’s as fun for them as it is for us!